Looking for Belize Airports and Airlines? You've come to the right place. See below for addresses, phone numbers, and contact information. Look a little further and you will locate Airlines for domestic travel within the country...as well as international travel to and from Belize. 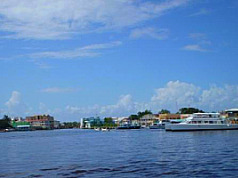 Offers weekly scheduled flights from Miami and Dallas to Belize City. Offers weekly scheduled flights from Houston and Newark to Belize City. Offers weekly scheduled flights from Atlanta to Belize City. What is there to do in Belize? This is a question many travelers want to know before heading out there. Yes, it's a warm place, but what else? Where are best places in Belize located? What are the Top Things to Do in Belize? Is it scuba diving or snorkeling? There is an incredible barrier reef, the second largest in the world here. You can swim with sting rays, check out the underwater caves or hike to the top of Victoria Peek. 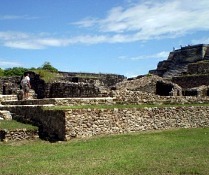 And for the archaeological enthusiasts, there are plenty of Mayan sites to explore as well. Maya Island Air was founded in 1961. It services Belize's Domestic Travel Market and some International Flights. Belize City, Caye Caulker, Caye Chapel, Corozal, Dangriga, Placencia, Punta Gorda, San Pedro-Ambergris Caye, Savannah. Roatan-Honduras, San Pedro Sula-Honduras, Cancun-Mexico, Flores-Guatemala and La Aurora-Guatemala. Is your dream to retire overseas and wake up to warm tropical breezes in the morning? Or is your vision of retirement bliss gazing at miles of vineyards and sunflowers? It's simpler than you think. Retiring overseas is so much more affordable if you know where to look and what your options are. Tropic air was founded in 1979. It services Belize's Domestic Travel Market with approximately 180 daily scheduled flights throughout Belize and Flores, Guatemala. Belize City, Caye Caulker, Cayo, Corozal, Dangriga/Hopkins, Orangle Walk/Lamanai, Placencia, Punta Gorda, San Pedro-Ambergris Caye. Choose the airline that best fits your needs. Then pack your bags and leave the stress at home. Warning: You may find it hard to come back.